Awww, I love this post. The rose is as beautiful as the story that followed it! I'm back! I just found your comment about the tree with shoes in it. I saw that tree on the news not long ago! You're right, it's weird. I clicked over and read some of your husband's posts, including the one about Johnny Mercer. I was so impressed, Walter now has a new follower :) Have a great weekend! Lots of good food and family, what could be better?? 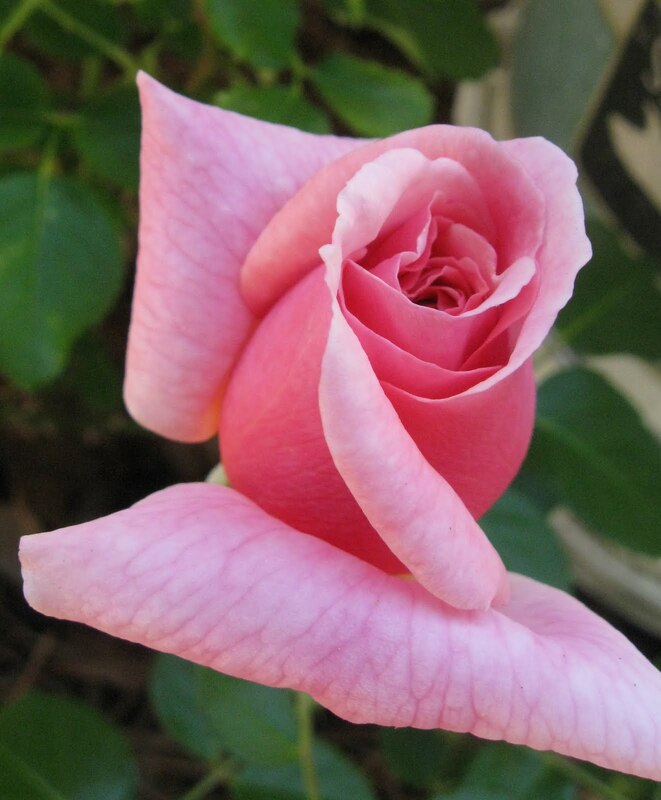 The rose is a stunningly beautiful pale pink. I am so glad you finally have one planted and growing nicely!! I have a plant of my mom's in my front yard, it is painful to look at still, but a living memory of her. Living still. I loved this too, especially the part about the rose. I too lost my Daddy years ago but he hasn't left me either. The good ones never do. I love the rose story also. Kind of envy you your large family and so glad you make time to reconnect. truly the rose is a fond fond memory and you have it still. mother was the collector in our house, daddy was the messer upper. his work shop was a disaster, he collected everything in no kind of order. the state took their house in 1987 so that got rid of the clutter when we had to move them. I have mothers christmas cactus that belonged to my dad's mother and all its little babies. The rose is a wonderful memory and it is great to have the continuity with your father. And it is so nice to have a rose that smells nice, so many of the new varieties seem to be sterile in that way. Don't worry about the desserts you only live once!